Dragonplate has a new modular connector system specifically designed for connecting pultruded tubes and rods. Leveraging off the design and success of its patent pending carbon fiber tube modular connector system, designed to connect roll-wrapped and braided carbon fiber tubes, Dragonplate has extended this line of products to now incorporate pultruded tubes and rods. NEXCOM EtherCAT robotic solution, NexROBO, introduces openness and modularity to the rigid robot architecture, unleashing possibilities for in-house development, add-on functionality, and reconfiguration of robots. Persistence Market Research Pvt. 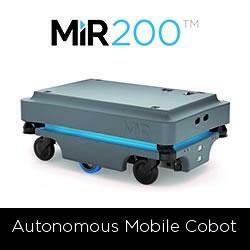 Ltd is released new forthcoming report on title "Autonomous Mobile Robotics Market: Global Industry Analysis and Forecast 2016 - 2024".